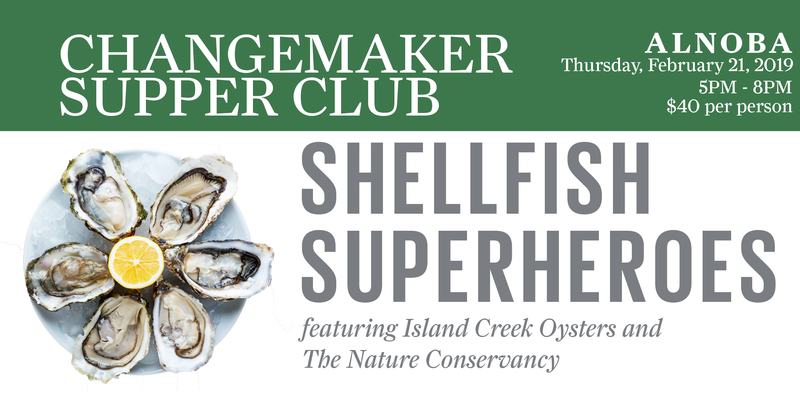 Join us on Saturday, March 16, 2019 from 6-9PM for this month’s Farm-to-Table Dinner featuring Chef Ben Hasty of Thistle Pig. 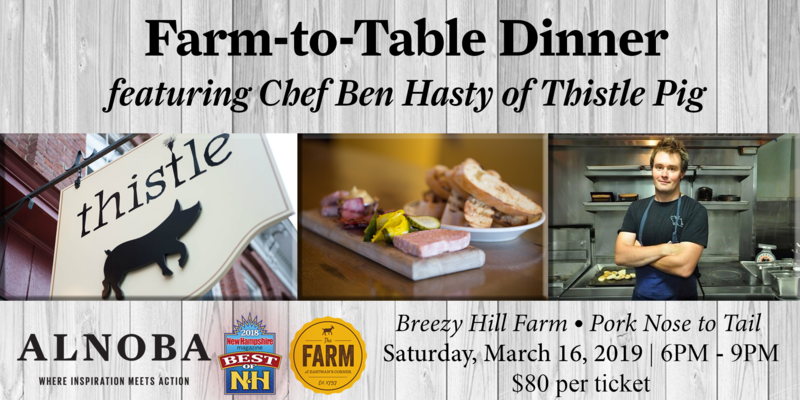 We are honored to feature Chef Ben Hasty, Co-Owner of Thistle Pig in South Berwick, Maine at our award-winning Farm-to-Table series! Our guest chef will be featuring a delectable dinner using local ingredients and pork from nose to tail from Breezy Hill Farm. Don’t wait, these tickets sell quickly! Cash bar will be available during the reception, and each course will be accompanied by a perfectly paired wine. In accordance with our social mission, every effort was made to use sustainably grown foods/ingredients whenever and wherever possible! Seating is not assigned, and is open seating at large community tables! Reserved seating is not permitted at this time. Ben Hasty was just 20 when he started his externship with Thomas Keller, a process required by his alma mater, the Atlantic Culinary Academy in Dover. Keller’s the French Laundry is one of the most famous and explosively influential restaurants in the world and every young chef worth his or her salt wants to work there. He went on to work at many restaurants including Arrows in Ogunquit, The Dunaway in Portsmouth where he eventually became the Executive Chef, Hugo’s in Portland, Epoch is Exeter, Brasserie Jo in Boston, When Pigs Fly Pizzeria in Kittery where he was both Executive Chef and Manager. Now is Chef/Co-Owner of Thistle Pig Restaurant in South Berwick Maine. Hasty’s focus is comfort food using meats, fish, vegetables and dairy from the seacost region. He grew up on his family farm, Breezy Hill in South Berwick, whom supplies Thistle Pig and other restaurants and butcheries with pork and beef.